Christmastime is here, happiness and cheer. Which means Santa’s Elves have been in his workshop working as hard as they can to get all the iPad Airs and Mini’s our the door in time for his whirlwind sleigh ride around the globe. 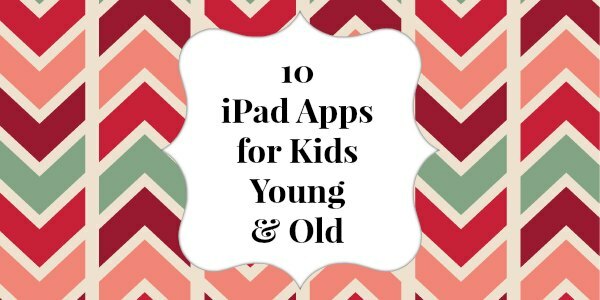 Here’s a great roundup of apps for children and families Santa can pre-install before you wake up at 4 a.m. to the sounds of “he’s been here!” From a video-call platform that lets grandparents read books with long-distance grandchildren to a science app that teaches kids about the anatomy of their bodies, there is an app for every occasion. ustyme is a free video call app platform that enables people to share experiences by reading books, playing games and much more, while seeing and speaking to one another in a real-time video experience. Cute, weird or funny? That’s up to you in the colorful world of Toca Mini. Let your imagination run wild in this creative app for kids! Make scary monsters, fantasy animals or your best friends! Dress up, dress down, three eyes or funny feet? The Minis can become whatever you want. Storybook Maker lets children express their creativity. With Storybook Maker, you can make a book and share it with friends. The app comes equipped with all the tools needed to create incredible and exciting stories. From the creator of award-winning educational apps, Writing Wizard is designed to help every child learn how to trace through a fun system carefully designed to maintain motivation. The app is fully customizable to suit every child’s needs, and lets you check their progress through a system of reports and profiles. You can even add your own word lists. Following the footsteps of the critically acclaimed Bugs and Buttons, this sequel offers a massive variety in gameplay to keep your child engaged while introducing them to critical learning skills at the same time. Bugs and Buttons 2 covers a wide range of critical learning skills such as counting, sorting, pinching, balance, letters and many more. A star and constellation guide has never been more beautiful and easy to use. Just hold it to the sky to automatically find stars, constellations, planets, satellites and more. It’s stargazing fun for all ages and experience levels. Give children a serious case of the giggles when you introduce them to a zany zebra, shy sheep and jolly giraffe. Discover these emotions and more by dressing up, feeding, sharing toys and interacting with them using over 100 uniquely themed props in this endless play funhouse. Touchable, laughable, discoverable—this picture book combines interactive graphics, surprise sound effects, and more to keep young kids playing, thinking and giggling. For the traveling family, it keeps kids engaged and their parents sane. Watch videos from your favorite PBS KIDS television series anytime, anywhere (in the USA). “PBS KIDS Video” features more than 1,000 videos from more than a dozen top PBS KIDS television series, including Curious George, The Cat in the Hat Knows a Lot About That, Dinosaur Train, SUPER WHY!, Daniel Tiger’s Neighborhood, Sesame Street and Wild Kratts. What are you favorite iPad apps?